NADIA used BACKTRACK! "Look, I'm not saying, they're bad, they're just boring." Today, Pokémon Ruby and Sapphire for the Game Boy Advance celebrate their 15th (North American) anniversary. The official start of Pokémon's third generation introduced two-versus-two Pokémon battles, weather conditions, and two new legendary Pokémon: The temperamental Groudon and its eternal rival, Kyogre. Despite being a big Pokémon fan back then (probably a bigger fan than any 23-year-old had a right to be), I didn't find myself smitten by Pokémon Ruby and Sapphire outside of its full-color graphics. Pokémon Gold and Silver are a huge leap over Red and Blue, but Ruby and Sapphire fails to make similarly wide strides over Gold and Silver. 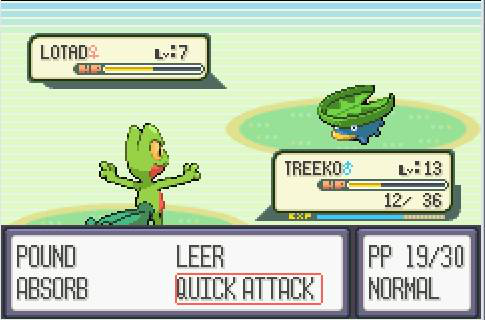 Treecko used Stop Traffic! But it didn't work and he died. For better or worse, Pokémon Ruby and Sapphire showed us what Pokémon's single-player formula is destined to be forever n' ever. Amen. I remember one reviewer complained about how Ruby and Sapphire lacks imagination (if you think complaining about Starter Pokémon's supposed unoriginality is a modern exercise, oh boy, do I have news for you), and they wondered if the Pokémon hype train was finally screeching to a halt. Big "No" on that one. 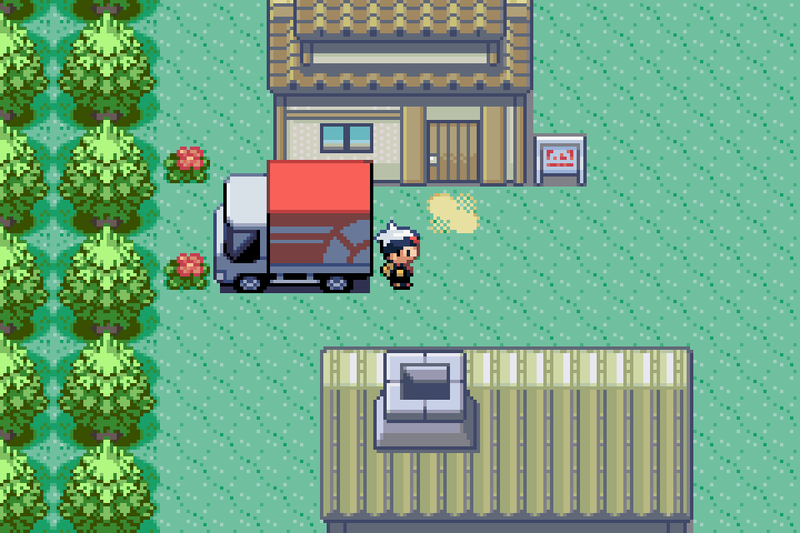 Still, at the time, I wondered if maybe I'd outgrown Pokémon. Luckily, Diamond and Pearl came along for the Nintendo DS about five years later and beefed up its single player campaign with Super Contests that let you show off how amazing Pokémon are at dancing. Also, Diamond and Pearl introduced Wi-Fi Pokémon battles. No matter how you feel about competitive Pokémon battling, that is a big deal. "Where we're moving, we don't need roads." Though Ruby and Sapphire presented a stumbling block, I've since come to appreciate Pokémon's single-player experience. More accurately, I've come to appreciate how Pokémon games' unique settings and interesting story points enhance the traditional challenge to become the Very Best. 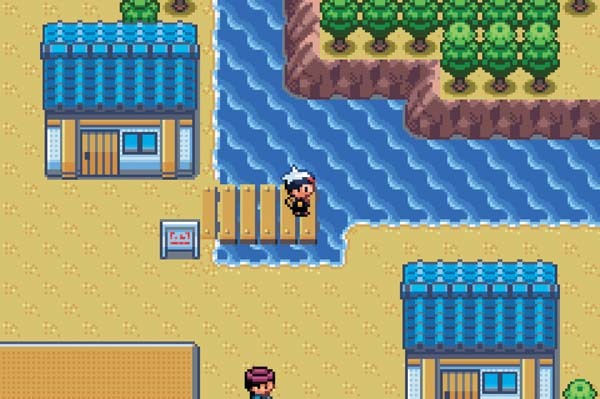 I really like how Pokémon Sun and Moon's Island Kahunas shake up the "Eight Gyms and Elite Four" pilgrimage, but I'd be OK with going back to basics if I have cool characters to talk to, and cool locations to explore. Ruby and Sapphire have neither of those, in my opinion (with the exception of Wally, who is a good boy who tries very hard and then demolishes you at the endgame). Though I thought I just needed to look at Pokémon Ruby and Sapphire through a time-tunnel of ten years, returning to a new and improved Hoenn via Pokémon Omega Ruby and Alpha Sapphire for the Nintendo 3DS still didn't endear me to the region very much. For all the flack IGN gets for the "too much water" remark it made in its review of the games, I understand the criticism: Hoenn is waterlogged, and having to call up your Lapras (and watch an animation) every time you want to cross a puddle is as much fun as licking the bottom half of a Trubbish. While I think I've listed good reasons why Pokémon Ruby and Sapphire are the most "Meh" entries in the series, I recognize the games mark a lot of fans' first dip into Pokémon. That'd make Ruby and Sapphire special by default. If you're one of those people, I see you, and I salute you. I straight-up don't understand your generation's obsession with Hoenn's horns, though. Oh, GBA sound chip. You tried your best. Tagged with Game Boy Advance,	Opinions,	Pokemon,	Pokemon Alpha Sapphire,	Pokemon Omega Ruby,	Retro,	Role Playing Games.